A divorce can only be finalized after a required 90-day waiting period has passed. In most situations, the divorce process can take several months or more to resolve. In the meantime, a divorcing couple will encounter a number of pressing issues that need to be addressed immediately. During this period, the parties can propose plans for how to manage finances and parenting issues. The court will then enter Temporary Orders. These court orders temporarily control Child Placement and Parenting Time, Child Support, Spousal Support, and property and debt division. Temporary Orders can also be used to protect bank accounts, businesses, and other financial investments. 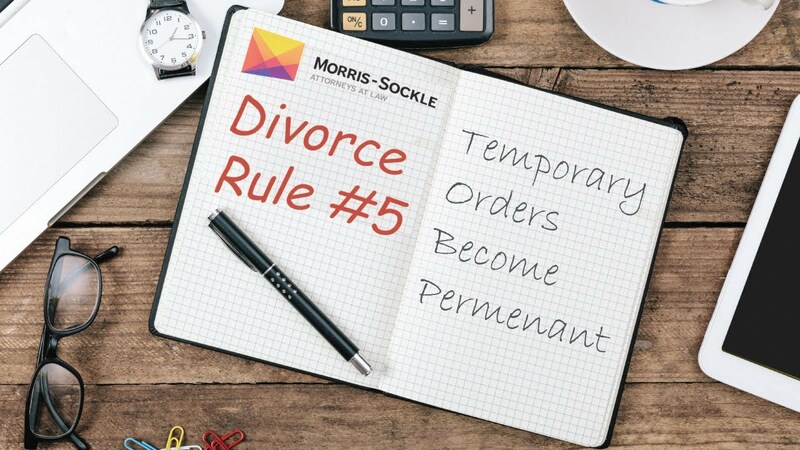 The Temporary Orders will stay in effect until the divorce is finalized. If the case goes to trial, the judge will decide on those things that the parties have not been able to agree to. Any decisions made by the judge during the divorce process, and at the time of trial, will rely heavily on the Temporary Orders that have been in effect, pending finalization of the divorce. Temporary Orders are important and should not be taken lightly. Not only do they establish the rules for how a couple will manage shared interests during the divorce, but they also establish the foundation for how things will likely be handled in the future. Temporary Orders set the tone for the entire process on all the important issues of your divorce, such as the children and finances. It is, therefore, vitally important that you work with your attorney to get the most favorable position possible for you in negotiating the terms of your Temporary Orders. As in many other aspects of the divorce process, and life in general, it is far better to be in a position of trying to keep what you already have rather than having to argue to take something away from someone else in order to give it to you. If the temporary orders that are approved by the court are in your favor, you will then be in a much stronger position as you work your way through the remainder of the divorce process.